Considered one of the most popular WordPress gallery plugins of all time, this powerful gallery allows the user to batch upload, manage and sort images, group galleries together, and create slideshows. NextGEN includes a wide variety of options for controlling the size, style, timing, transition, and controls of any photo gallery. Providing a powerful media gallery content plugin with an easy interface for managing photos, galleries, audio, and video collections. This plugin lets you integrate images, music, and video playlists combined into photo slideshows. An optimal choice for describing an event, generating rotating banners, or creating a slider with widget. Compatible with Google Reader and more. Easily create a photo gallery for either a presentation, portfolio, or image gallery. With easy to use functions for adding page flip effects, this plugin allows you to zoom, integrate a pop-up gallery, and easily use images from your already existing WordPress media gallery. This plugin allows a lightbox display with the ability to add captions to images, divide the gallery into several pages, associate metadata with images, and set additional settings in the options page. Allows for easy integration to your already existing WordPress site. Create a dynamic gallery of photos for featured content using custom jQuery script. Additionally, integrate default images to display as an event in any post or page. The dashboard settings allow you to access a wide range of comprehensive options and configurations. 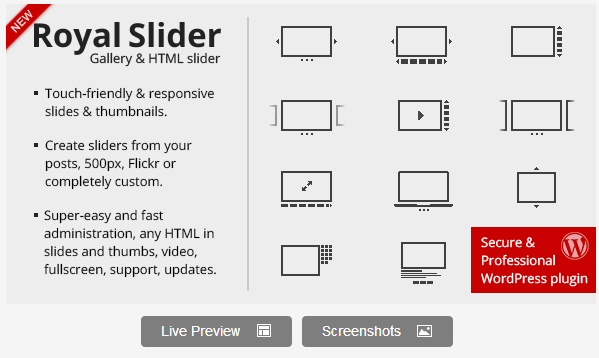 Easily create a content slider widget or slideshow for your blog without the necessity of using code. Create a new slider through the control panel and insert the widget into your post. 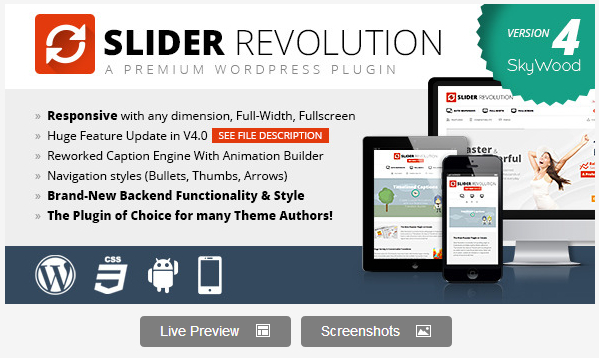 This plugin allows you to create responsive and beautiful slideshows through a verity of themes with full thumbnail display. 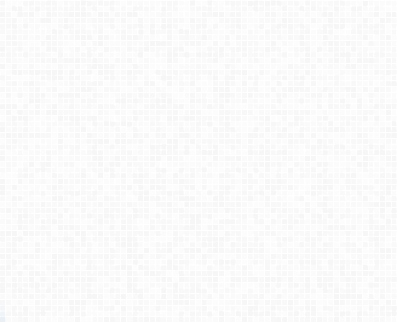 Use flipbooks for an animated .gif style slideshow or use infinite scroll. This can be used with either your WordPress media gallery or a customized gallery editor.